Fall for me means genre reading. I'm never far from the genres, but between convention season and Halloween (a huge pivot on my personal psychic calendar), I end up reading more books about wizards, zombies, mafoisi, and starships than usual. The first book on my list is explicitly seasonal: Roger Zelazny's A Night in the Lonesome October. 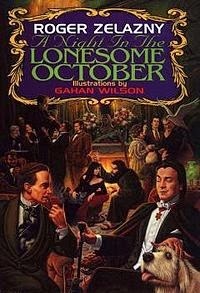 Zelazny is, in my opinion, one of the greatest writers of the science fiction and fantasy genres, and A Night in the Lonesome October is an overlooked classic. Set in the late 19th century England of the Strand and so many pulp adventure novels, this book is narrated by Jack the Ripper's dog Snuff, and describes the complex game he and his master are playing against a number of creepy characters (including Count Dracula and Sherlock Holmes) to destroy, or possibly save, our universe from Creepy Crawly Horrors From Before the Dawn of Time. And yet it's… sweet? Heartwarming? Fun? Ray Bradbury's Something Wicked This Way Comes best captures the horrors behind Halloween, but A Night in the Lonesome October highlights the more lighthearted spirit of the holiday. A friend of mine loaned me his big hardcover of John Layman and Rob Guillory's CHEW Omnivore, which is a wonderfully demented comic series about a post-avian-flu-pandemic FDA inspector who can see the past of any food he eats—including people. Twisty and twisted, with a vivid and expressive art style that reminds me a little of Sam Kieth's vicious, brilliant The Maxx. This was my first exposure to CHEW, and I look forward to following the series in the future. On Stina Leicht's recommendation, I recently picked up Adrian McKinty's Dead I Well May Be, a noir novel that starts off being about a young Irish gangster in 1980s New York, and ends up… everywhere. McKinty uses short, sharp sentences like scalpels, and has a demented and expansive imagination. The book as much a poem as a crime novel. And beyond that I have a stack of books I'm excited to tear into when I get the chance—I've been busy working on the launch for my new novel, Two Serpents Rise, which is great but cuts into reading time. 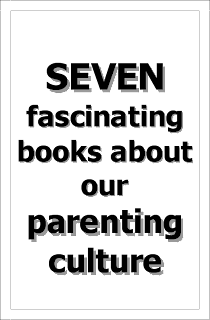 Some items on the list: The Republic of Thieves by Scott Lynch, Shattered Pillars by Elizabeth Bear, and Blue Highways by William Least Heat Moon. 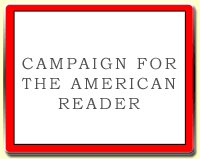 Visit Max Gladstone's website and Twitter perch. My Book, The Movie: Two Serpents Rise.